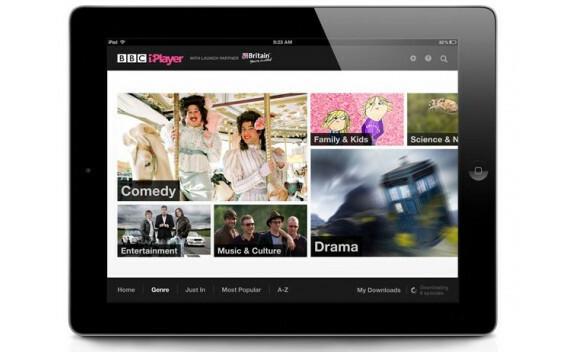 The BBC is extending the reach of its fabulous iPlayer service, with Apple iPad users in 11 other countries across Europe able to soak up the glory of the Beeb – but at a price. Users will be asked to subscribe to the service for €7 per month or €50 per year, with the subscription fee offering access to eight genres of programming: News Specials & Documentaries; Entertainment; Drama; Comedy; Science & Nature; Family & Kids; Music & Culture and Lifestyle. This means that subscribers in Europe-land will be able to enjoy top notch content like Fawlty Towers, Sherlock, Luther and Pride and Prejudice, as well as recent episodes of the EastEnders, Top Gear, the Doctor Who archive and more. The app will lets users both download and stream content, and is being touted as a “pilot phase” for the service – meaning that our American cousins may soon be making baffled faces at EastEnders in the not-so-distant future. LONDON–(BUSINESS WIRE)–BBC Worldwide, the BBC’s commercial arm, is from today offering audiences across Europe the first-ever opportunity to delve into a digital mix of classic and contemporary British TV programming with the launch of the new global BBC iPlayer app, available exclusively on iPad www.bbc.com/iplayer/tv. This brand-new video on demand subscription service, launching first in Western Europe, will deliver the award-winning programming upon which the BBC’s history and heritage is built, to viewers in 11 markets. For €6.99 a month (or €49.99 for an annual subscription), the app will initially be available in Austria, Belgium, France, Germany, Italy, Luxembourg, The Republic of Ireland, The Netherlands, Portugal, Spain and Switzerland. Subscribers will be able to access a rich selection of captivating English language programmes across eight genres: News Specials & Documentaries; Entertainment; Drama; Comedy; Science & Nature; Family & Kids; Music & Culture and Lifestyle. The app brings together classic comedies such as Fawlty Towers and Only Fools & Horses, thrilling drama series Sherlock, Luther and much loved Pride and Prejudice, recent episodes of the UK’s famous soap EastEnders, global motoring phenomenon Top Gear, the Doctor Who archive and the adorable children’s show Charlie & Lola. Hours of new programming will be added to the service every week, along with imaginatively themed collections curated from the BBC’s extensive archive, including David Attenborough and the story of the Royal Family. Designed to be intuitive and easy-to-use, a key feature of the app allows subscribers both to stream and to download shows for offline viewing for when they can’t access Wi-Fi connectivity. The stylish and simple interface enables users to build a personal library of shows. The global BBC iPlayer App is now available to download for free from the App Store in the launch markets on iPad at www.bbc.com/iplayer/tv. 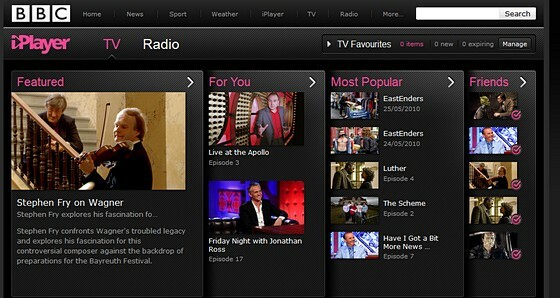 The global version of the BBC iPlayer app launched today marks the start of a pilot phase for the service.